LAHORE – After not getting an encouraging response from its members, the All Pakistan CNG Association (APCNGA) decided to postpone the violation of the two-day weekly closure of CNG stations, Pakistan Today has learnt. The APCNGA had planned to violate the two-day weekly closure by opening CNG stations in Lahore region on Monday and Tuesday but its members did not give an encouraging response, which compelled the APCNGA to drop the idea of violating the ban, sources said. Last week, the association had decided to open CNG stations in Lahore region but the move failed, as all of the city’s CNG stations remained closed. Earlier, the association tried to open CNG stations in Potohar region but had to face stern action from Sui Northern Gas Pipelines Limited (SNGPL) authorities. 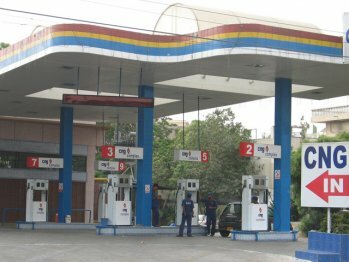 “The response of members has discouraged senior office-bearers of the APCNGA, who decided to postpone the decision of violating the two-day weekly closure,” sources said adding that now the association is on the back foot and not in a position to negotiate with SNGPL authorities for opening CNG stations. According to the SNGPL schedule, CNG stations are closed twice a week in Punjab and Khyber Pakhtunkhwa regions. The schedule was to be implemented until March 15 and the SNGPL was supposed to restore gas supplies to CNG stations after the date, but now the company has backed out and still enforcing the two-day weekly closure. APCNGA Executive Council Member Hassan Shah said that the association has decided not to violate the schedule, as it did not bring any fruitful results. “We are in favour of resolving the matter amicably instead of going for a direct action,” he said adding that although the association had decided to open CNG stations but there was no positive response from members. Last week, APCNGA Chairman Ghayas Paracha said that members of Lahore region have not supported the violation call but from next week, CNG stations will remain open. But once again the members have not supported the association and now there will be no CNG for motorists. An APCNGA member, seeking anonymity, said that leadership of the association has failed to solve the matter with the SNGPL and now trying to hide its failure through violation calls. He said that leaders of APCNGA could not convince the SNGPL to end the closure and was now doing politics over the issue and asking CNG stations owners not to follow the closure schedule. “If our leadership was competent then there would have been no two-day weekly closure after March 15,” he said, adding that if the SNGPL takes action against them, none of their leaders will come to their rescue, therefore, it was better to close CNG stations for two days in a week. Paracha was not available for comments despite repeated attempts.